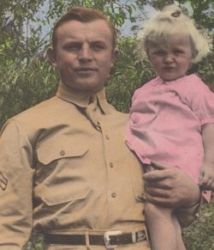 First Sergeant John W. Dutko (24 October 1916 - 23 May 1944) was a U.S. Army soldier who was awarded the U.S. military's highest award for valor, the Medal of Honor, for his actions during World War II. John W. Dutko was born on 24 October 1916 in Dilltown, PA. 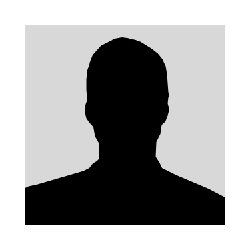 He joined the Army from Riverside Township, NJ. On 23 May 1944, Dutko was serving as a Private First Class in the 3rd Infantry Division. On that day near Ponte Rotto, Italy, he single-handedly charged three German machine guns and one 88 mm artillery gun. Although wounded twice during his attack, he continued on and successfully destroyed all four positions before succumbing to his wounds. For this action, he was posthumously promoted to First Sergeant and awarded the Medal of Honor. 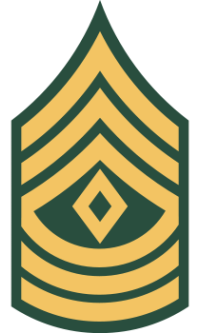 Rank and organization: Private First Class, U.S. Army, 3rd Infantry Division. Place and date: Near Ponte Rotto, Italy, 23 May 1944. Citation: For conspicuous gallantry and intrepidity at risk of life above and beyond the call of duty, on 23 May 1944, near Ponte Rotto, Italy. Pfc. Dutko left the cover of an abandoned enemy trench at the height of an artillery concentration in a single-handed attack upon 3 machineguns and an 88 mm. mobile gun. Despite the intense fire of these 4 weapons which were aimed directly at him, Pfc. Dutko ran 100 yards through the impact area, paused momentarily in a shell crater, and then continued his 1-man assault. Although machinegun bullets kicked up the dirt at his heels, and 88 mm. shells exploded within 30 yards of him, Pfc. Dutko nevertheless made his way to a point within 30 yards of the first enemy machinegun and killed both gunners with a hand grenade. Although the second machinegun wounded him, knocking him to the ground, Pfc. Dutko regained his feet and advanced on the 88 mm. gun, firing his Browning Automatic Rifle from the hip. When he came within 10 yards of this weapon he killed its 5-man crew with 1 long burst of fire. Wheeling on the machinegun which had wounded him, Pfc. Dutko killed the gunner and his assistant. The third German machinegun fired on Pfc. Dutko from a position 20 yards distant wounding him a second time as he proceeded toward the enemy weapon in a half run. He killed both members of its crew with a single burst from his Browning Automatic Rifle, continued toward the gun and died, his body falling across the dead German crew. First Sergeant John W. Dutko was killed in action on 23 May 1944. He is buried at Beverly National Cemetery in Beverly, NJ, in Distinguished Service Section, Grave 1.